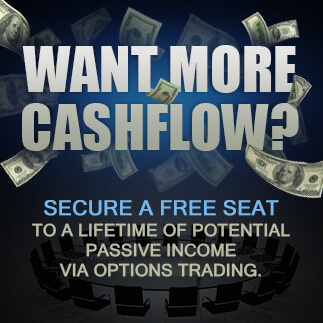 Do you want more cashflow? Do you need more money to cover your living expenses? Are you interested in living the 1% lifestyle or are you stuck in the 40/40/40 scam. Thats right working for 40 years or more for around $40,000 a year to retire on 40% of your income. Think about it, we are told to get a J.O.B to keep us just over broke for all our lives to retire with less money than we earned. If this is you then this going to be the most exciting post you are ever going to read. There is an amazing Income Generating Strategy that will give you CASH FLOW monthly. Yes a monthly CASH FLOW and all you need to do is spend 30 minutes a month to generate your current income. Imagine being able to travel ANYWHERE in the world and know you are earning an income while you’re travelling, paying off the mortgage for your children, and sipping a cocktail on the white sands while your bank account grows!. Wouldn’t that be great? Or what about if you could look after your family without financial pressures?. How would that feel if you could do this? Imagine being able to go and have lunch with the girls, or take them out on a meal, or take them on a holiday, all expenses paid. It truly is possible, but you need to know how.